An 11-year-old girl receives a voodoo doll that’s meant to be used for good, but she figures out a loophole for making bad things happen to others in order to increase her popularity. We have all watched a movie and read a book where someone creates or comes across a voodoo doll, and puts it to use terrorizing one or many friends in the process. 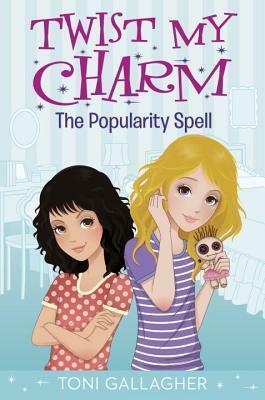 This is a middle grade novel where a girl uses a voodoo doll to gain popularity. What would you do if you could make things happen to yourself or others? Would you use your new-found powers for good....or for evil? Cleo is a good main character. She is funny and generally kindhearted. She gets her best friend into some trouble with her. I thought it was fun how the author integrated the voodoo doll and would have preferred to have learned a little more about voodoo doll background and history. The plot was pretty fast-paced and the book is an easy read. This book is recommended to middle grade readers.